It’s been a year now since we ran The Spotties, the first ever Spotify Community Site awards. Since then, Spotify has launched in the Netherlands, smashed past the ten million track barrier and become the number one music streaming service in the world. In this post, we look at the six Spotties winners to see what they’ve been up to since their awards, with a look at their new features and services. Be sure to read through to the end, where Spotibot develop Andy Smith gives some thoughts on the future of the community and delivers an impassioned warning to Spotify. ShareMyPlaylists has continued to dominate the Spotify playlist sharing scene. They now have over 40,000 playlists and nearly 56,000 registered users. With exclusive access to Spotify’s playlist API, ShareMyPlaylists has expertly positioned itself as Spotify’s prefered 3rd-party site. They now have a monthly feature on the spotify.com blog and SMP’s weekly email newsletter makes for essential reading. The site itself has evolved over the year, polishing and de-clutteirng the interface, updating their branding and adding a great fun trophy system called Badges (of which I have two!) They’ve also just announced a couple of new killer features: integration of a lyrics finder system (courtesy of LyricFind) and artist bio pages that show the artist’s available albums on Spotify, related playlists, upcoming gigs and more. It’s an impressive addition to SMP’s feature-set and promises to further strengthen ShareMyPlaylists’s position as the Number 1 music sharing site on the web. 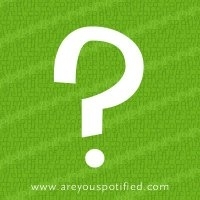 Best News or Music Finder Site: Are You Spotified? Compared with ShareMyPlaylists, Are You Spotified has not faired so well. The “house music on Spotify” site went dormant for several months and updates throughout the past year were few and far between. The domain name then expired and that seems to be the end of that. Keep an eye on their facebook page though, they may still get up off that dancefloor yet! Playlistify continued to innvovate and justify its Spotties award, although it looked touch-and-go for a while there. Towards the end of 2010, Playlistify went offline due to major problems at their datacenter. Two months and several thousand euros later they were back, shaken but not stirred and able to resume their musical baking. They soon came out with several new features, notably The Facebaker: a service that creates Spotify playlists based on your friend’s musical likes on Facebook. 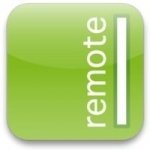 Remoteless continues as the premiere Spotify remote for iPhone and Mac. They hit a few legal problems at the end of 2010 but have continued to release updates and fixes, including a refreshed user interface and support for playlists. Cleanify is still cleaning up those Spotify URLs, but the service has not changed in the year since The Spotties. I guess it wasn’t broken so there was nothing to fix. Unfortunately for us, Spotify have turned their attentions from developers to commercialising their now vast userbase. The initial explosion of activity in the independent scene for third-party web apps has faded, as the exciting potential has been tapped and promised expansions to the API have been teased, delayed, and effectively dropped. In the meantime, others who seek to topple Spotify’s crown – mFlow, Play.me and Rdio – continue to see the value in a team of unpaid evangelists who not only promote the services, but add functionality and track bugs for zero return. You can’t buy or create these people, you can only adopt them through empowerment. Spotify must be careful that these developers – who have played such a pivotal role in promoting their service for nothing more than access to some easily-implemented API calls – aren’t poached by rival services hungry for attention and more willing to realise the enormous value this unpaid talent provides, and for relatively little cost to business. I’m not a developer so can’t really comment on Andy’s heads-up to Spotify. But I do know that this time last year we were seeing half-a-dozen new Spotify-related sites and apps appearing every week. Now it’s down to just one or two a week. Perhaps the possibilities have reached a natural limit, but I’m sure that there are many things Spotify could do (for example, opening up the playlist API to developers other than SMP) that would lead to a second explosion of Spotify community sites, all eager to exploit the full potential of the service and send more users their way.